The conference will begin at 3:45 p.m. on Tuesday, April 30 and will conclude with the Polly Bond banquet the evening of Thursday, May 2. Our optional pre-conference intensives will be a little different his year, with each session running two-and-a-half hours, so participants can pick two (April 30 from 9 a.m. to 3 p.m.). Our opening Eucharist on Tuesday will take place in the soaring nave of St. John’s Cathedral. A highlight will be two keynote addresses by the Rev. 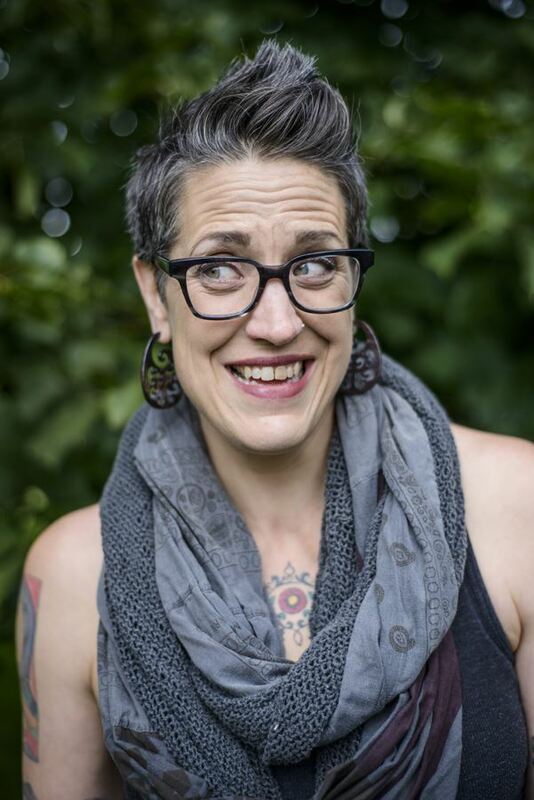 Nadia Bolz Weber, author of two books with another due in January 2019. 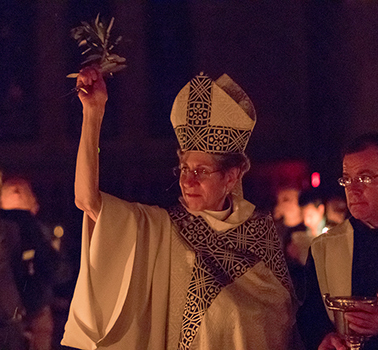 She is an ordained Lutheran pastor (ELCA) and the founder of House for All Sinners and Saints in Denver, a quirky congregation she served for more than 10 years. Events will take place at the Curtis Hotel, located in the heart of downtown Denver in an area filled with interesting restaurants and shops. It’s also filled with pop culture references – meeting rooms are named for school yard games like dodgeball and keep-away – and we’re working to incorporate elements of that in our conference planning. If you want to book now, you can do it HERE. You also can book by calling the hotel at (303) 571.0300 and using the group code EPI. The conference fee for members who register before Jan. 25, 2019, will be $375. After Jan. 25, the fee goes up to $425. The early rate for non-members is $500. The optional pre-conference intensive day will be an additional $125. Cancellation policy: The conference fee will be refunded in full if cancelled up to thirty days before conference, and 50% if cancelled up to two weeks prior to conference.